International and Indian Academy (IIFA) is an award ceremony that has made its mark in the glamorous sphere of Bollywood. IIFA was formed with the objective to create a magical impression and celebrate Bollywood internationally. IIFA’s significance has grown exponentially since its inception in 2000. With IIFA Awards 2014, yet another year is added to its journey, it is being hosted in the dynamic harbour city of Tampa bay, on the west central coast of Florida U.S. Tampa Bay was brimming with life with the arrival of the who’s who of the Hindi Film Industry. The fans from Tampa Bay were anxiously awaiting the ceremony and curious to know who will be the proud recipient of the IIFA awards. With the interest always flowing towards the best picture, let us not delve into any bets and hold the rope at the end of the line and welcome Bhaag Milkha Bhaag, the biopic of Milkha Singh, also the sixth highest grossing film of 2013 worldwide with its seamless script crafted by Prasoon Joshi, measured performance by Farhan Akhtar and the dramatic direction of Rakeysh Omprakash Mehra was a clear winner this season. The movie depicted the struggle and true sportsmanship of National hero Milkha Singh. It defined patriotism on a completely different level, inspired millions of viewers nationally and internationally and deserved the due recognition. Amongst the nominees the movie that missed by a small margin was the vibrant and spirited Chennai Express directed by equally dynamic Rohit Shetty, the film had oodles of character and was entertaining till its last scene. Let us shift our curious minds now from the category of best picture to the best director, and who deserves it more than the eventual winner, Rakeysh Omprakash Mehra. With his powerful and gripping direction of the eventful life of Milka Singh in the movie Bhaag Milkha Bhaag, he was a deserving candidate in this category amongst the contenders; which included Rakesh Roshan, Abhishek Kapoor, Rohit Shetty and Sanjay Leela Bhansali. 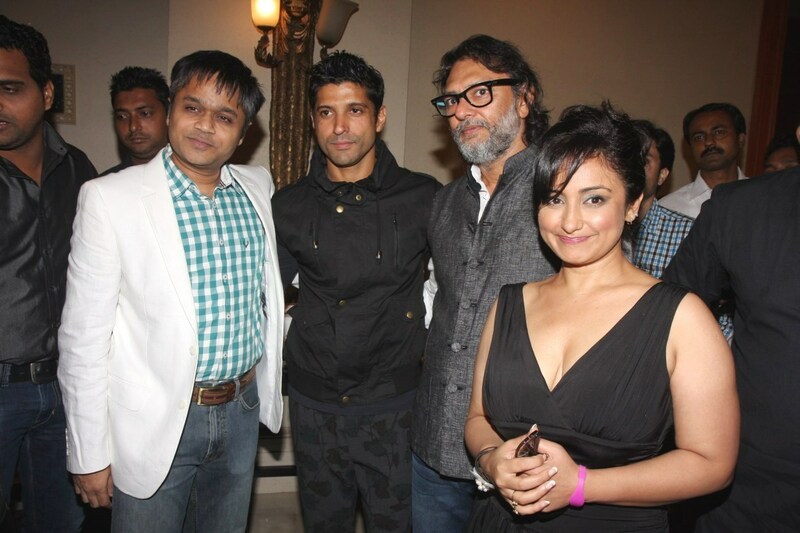 Bhaag Milkha Bhaag has truly been the flavour of the season; it bagged the awards in the category of Best Picture, Best Director, Performance in Leading Role (Male) by Farhan Akhtar and Performance in Supporting Role (Female) by Divya Dutta. Farhan Akhtar and Divya Dutta’s seasoned performance left a long lasting impression and their work has been praised unanimously by their peers. Deepika Padukone was praised for her character Meenamma in Chennai Express and did not disappoint as she won the IIFA Award for Performance in the Leading Role (Female). She capped off a great year by being nominated in the same category for Yeh Jawaani Hain Deewani and Goliyon Ki Rasleela -Ram Leela. She had a close contender in Nimrit Kaur who was outstanding in The Lunch Box but she won the race with her flawless south Indian accent and vibrant character portrayal in Chennai Express. Aditya Roy Kapur was awarded for his Performance in Supporting Role (Male) for Yeh Jawaani Hain Deewani, where he played best friend to Bunny (Ranbir Kapoor) - the male protagonist of the movie. He played the character of an emotional alcoholic friend to Bunny whose friendship goes through ups and downs through the course of the movie. Watch IIFA Awards sponsored by Ravin Group on Sunday (15th June) at 8 pm.